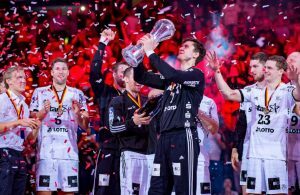 After two years, THW Kiel again wins German Super Cup. In Munich, the boys of Alfred Gislason was better in the clash against the biggest rival, HSV Hamburg 24:23 (15:14). Match was decided in the last seconds. HSV has the last attack, Domagoj Duvnjak lost the ball, “Zebras” took it and celebration in front of 8.600 spectators began. Hens 7, Lindberg 4/2, Duvnjak 3, Jansen 3/1, B. Gille 2, Lackovic 2, Vori 1, Schröder 1, Flohr, G. Gille, Stumps, Schliedermann n.e. 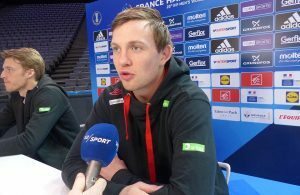 Andersson 9, Ilic 8/4, Palmarsson 3, Sprenger 1, Ahlm 1, Narcisse 1, Lundström 1, Klein, Jicha, Dragicevic n.e., Kubes n.e., Reichmann n.e.